Home Crime Houston County Crime Rate – How Has it Changed? Houston County Crime Rate – How Has it Changed? CROCKETT – Each year, the Texas Department of Public Safety compiles reported crimes for each city and county in the state. The 2018 statistics are not yet complete, but a comparison of 2016 and 2017 yielded some valuable insight into local crime trends. According to compiled reports from the TxDPS’ Uniform Crime Reporting unit, Crockett City Police Department reported a total of 314 crimes in 2016. With the exception of slightly raised numbers in January, June and July of 2017, the number of reported crimes of all types dropped drastically during the year. The most marked drop occurred after July, 2017 when the reported crime rate nose-dived to less than half 2016’s and 2015’s numbers across the board. Specifically, Assault dropped from 81 reported cases in 2016 to 73 reported cases in 2017, with the sharpest drop coming in June and remaining low. Other charges followed suit, resulting in an overall drop. 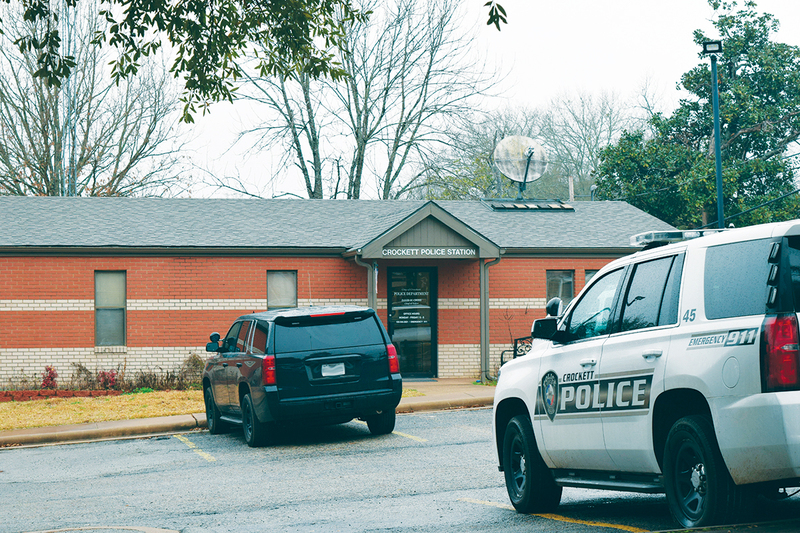 Crockett Police DepCross commented on the sharp decline in crime and credited his officers, cooperating agencies and prosecutors. “We have a great group of staff at Crockett PD, from the officers working the streets to the detectives following up on our cases,” he said. “The patrol officers are proactive in their patrols. That’s critical. Through routine traffic stops we are able to locate wanted persons, recover stolen property and locate illegal narcotics coming into our city,” he explained. Interagency cooperation can’t be understated, Cross added. “We work with our area law enforcement agencies and share suspect information and stolen item information in hopes of solving more crimes,” he said. Prevention and arrests are half the story. Cross explained building solid cases and obtaining evidence to assist prosecution are crucial to keeping offenders off the street. “We have made numerous arrests of offenders who repeatedly commit crimes against our citizens. They have received good prosecution from our district and county attorney’s office and have received jail and prison time for their crimes. This cuts down on the total number of crimes that they would have committed, because they are locked up instead,” Cross said. “They prioritize the cases beginning with the most violent, such as crimes against persons, then move on to the property crimes cases,” he explained. While crime rates have dropped in the city, Cross urged citizens not to let their guard down. He noted that burglaries between 2016 and 2017 remained at an average of roughly four per month. “If you commit a crime in Crockett we are going to do our best to find out who you are and hold you responsible for that crime,” Cross said. The chief explained lower crime rates are a combination of factors. Proactive policies, police presence and community involvement have proven very effective, as the numbers demonstrate. Crime statistics are available to the public at DPS.texas.gov.